We would like to hear from you and your experience at Rock’N Mick’s Hair Hut. Check out what others that have been to Rock’N Mick’s Hair Hut as well are saying about their experience. Want to share your testimony? 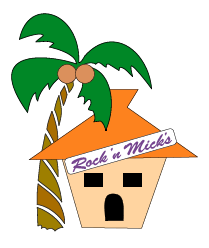 Email us at rocknmick@rocknmickshairhut.com or send us a letter by mail to 49 Finch Drive, Sarnia, Ontario N7S 5C6 and we will post in our Testimonies section.